My face, my valuable (and immobile) face! You know those moments you don’t think celebrity culture can get any more absurd? I’d complain, except the subject of plastic surgery allows me to bring up two of my favourite subjects. First, the always entertaining AwfulPlasticSurgery.com (go on, you know you want to take a look). And second, that most misunderstood and delightfully, shamelessly trashy of shows, Nip/Tuck, a confection which, aside from giving Dannii’s ex-husband, Julian McMahon, the role he was born to play (don’t laugh, he’s scarily good) manages to somehow combine the most lurid and fantastical melodrama with an uneasy and often quite unsettling meditation on the illusions of beauty and the decay of the body. No doubt its unevenness of tone and quality has something to do with the fact it’s never quite found the audience it deserves, but when it’s good, it’s great. 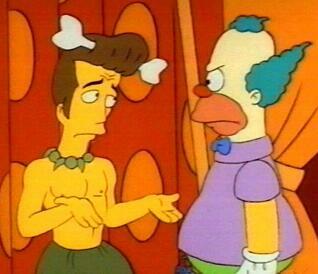 (And yes, ten points to anyone who picked up the obscure Simpsons/Sideshow Luke Perry gag in the title). I thought that title sounded familiar….!! I was sure somebody would get it.